For a lot of us, brushing our hair can be one of the most dreaded things; it usually means dealing with knots, which lead to hair breakage and ending up with what feels like a half of your hair, all on the brush. Aside from untangling, some are also used for styling, and while the salon people seem to magically get it right every time when we try to do the same, we usually end up failing. Of course, we can’t all be as good as professional hair stylists, but with the right kind of hairbrush, we can manage to get pretty close. Since there are numerous options on the market, in this article we will discuss how you can choose the best hairbrush for yourself, and to help you a bit wee bit more, we shall also include a list of the top 10 best hairbrushes you can find in India. As we all have different hair types, it is important to figure out what works best for us and choose a brush accordingly. It is easy to be overwhelmed by the number of choices though, but with the following points in mind, you should be able to select the perfect hairbrush for yourself, without any problem. One of the first things you notice about a hairbrush is the type, although, despite that, not many people think about the differences between the types properly. Each type has its own specific use, so let us talk a bit about all the different types there are on the market, so you can choose which one would be best for you. These hairbrushes are not as commonly seen or talked about, but they can be a lifesaver if you’re in a pinch and need to dry your hair quickly. 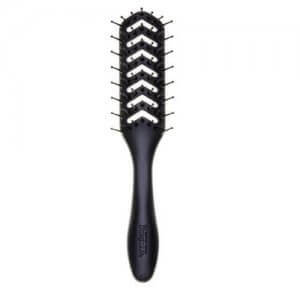 As you would’ve guessed, this brush has vents, so unlike other brushes that do not allow the air to flow, this one does, which allows the hair to dry much faster. Since it reduces the amount of time you need to use the dryer for, it helps decrease heat damage as well. Although it does give you slightly more volume, it is not the best for styling your hair straight or curly, therefore, its use is quite limited, unless you’re usually content with how your hair naturally looks. As the name suggests, this brush is perfect for teasing the roots and creating hairstyles that need more volume. If you’re someone who loves wearing their hair in a voluminous updo, then this brush could be your new best friend. Aside from teasing, this brush can also be used to tame flyaway hairs, which is especially important for those with frizzy hair, or those with lots of baby hair. We would advise you not to tease your hair too frequently though, as that can end up damaging it. 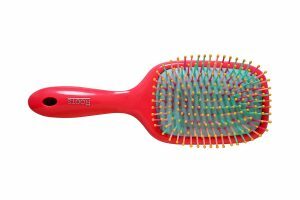 If you’ve got somewhat straight hair that tends to be slightly poofy and frizzy, then this brush would be great for you. It helps tame frizz, and when used with a blow dryer, it makes your hair sleek and straight. Since these brushes tend to be quite large, they’re especially recommended for those with thick hair, to make brushing less tedious and time-consuming. These brushes are not the best at creating volume though, so if you’ve got flat hair already, then this wouldn’t be the best hair brush for you. They’re not great for those with curly hair either, as the shape of this brush is not suitable for maintaining the curls and waves, and they would just end up breaking the curls, as well as damaging the hair. If you’ve got a thing for bouncy, voluminous curls, then let this brush help you achieve that look without even putting in as much effort. Since the barrel is a ceramic one, it gets heated quickly and retains the heat, so you do not need to use the dryer for too long, hence, making sure that your hair stays healthier. 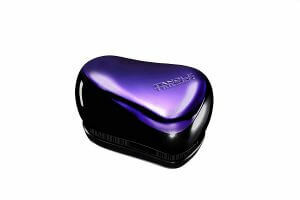 It is also great for straightening the hair, taming frizz, and making it appear glossy. Since this brush often has vents, it can also be used to reduce drying time, as well as to make it easier to dry naturally wavy or curly hair. The only thing you need to be cautious about is that the barrel can get really hot, and if you’re not careful, you could burn yourself. If you’re a fan of ponytails and buns and need a brush that works well on both dry hair, as well as wet hair, then this is the type for you. Oval brushes are one of the most commonly available types, and they’re great at making sure that you get every single strand in when you’re tying up your hair. Certain types of oval brushes are also good at dealing with knotty hair and can help untangle knots without too much tugging. They’re also wonderful to us while blow drying the hair, as they help make the hair appear much smoother and softer, without losing any of the volume. 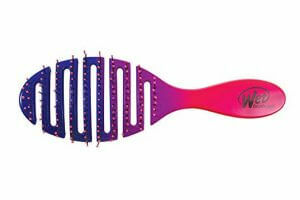 Those with terribly knotty hair, for whom brushing is usually just pain, a detangling brush could be the hero you need. These brushes have densely packed bristles that gently untangle the hair, without pulling it too much, thus, making sure that there is minimal damage. These brushes are especially great for untangling wet hair, which can usually be really difficult to with. Another important bit that you should think about when choosing a hair brush is, what the bristles are made of. Usually, bristles are of three kinds – bamboo, synthetic, and boar bristles – each kind has its own pros and cons, so choose the one that suits your hair the best. Bamboo bristles are the most eco-friendly ones, and they’re perfect for those who are looking for a hairbrush that can distribute the natural oils from the scalp, all the way down to the ends of the strands, to keep them healthier. These bristles are also great for those who want to reduce static, although, since they’re not very strong, they work better for non-curly hair types. 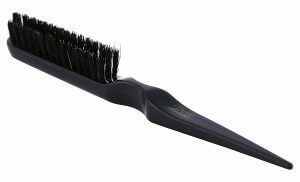 These are bristles you want if you’ve got thick or curly hair because synthetic bristles are both flexible and strong. They’re usually made of nylon, and since they’re really flexible, they can be really good at untangling knotty hair. They’re not the best at distributing natural oils though, so if that’s your main concern, then these aren’t for you. Fine hair can be really delicate, therefore, having a brush with gentle bristles, such as boar bristles, is highly recommended for this hair type. Boar bristles minimise the damage as they can take out knots without pulling on the hair too much. They’re also great at distributing natural oils from the scalp to the ends of the strands, thus keeping the hair healthier as well. Now that you know everything you need to know to choose the best hairbrush for yourself, let us give you a list of the top 10 best options on the market right now. We hope that you’ll be able to find something that fits your hair type. 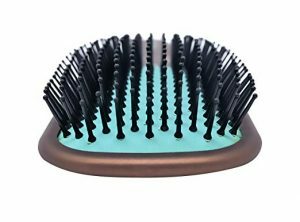 Those who’re struggling with drying their hair every morning would love this vented hairbrush, as makes it much easier to blow-dry your hair in a jiffy. It is lightweight, sturdy, and really easy to clean, so maintaining it is not a hassle. It also does a decent job of untangling knots, and despite its size, it actually works really well for those with thick hair. It has synthetic nylon pins with ball ends, which should usually feel really soothing on the scalp, but since they’re quite hard, they can be surprisingly uncomfortable to use. Additionally, this brush is not the best for those with weak, damaged hair as it isn’t gentle enough, and it may seem a bit expensive as it’s not useful for much else, aside from reducing drying time. Some hairstyles just need to be voluminous, and for those of us who are not born with thick hair, this teaser brush can be the solution to all our flat hair problems. It is not too expensive, and with just a little bit of hairspray, it can help you get all the volume you want. Aside from teasing, it also works well to tame flyaways, for those with frizzy hair or those with lots of baby hair. While the description reads that it has 100% boar bristles, it is important to note that not all of the bristles are boar bristles; the brush has both synthetic bristles and boar bristles, although it is hard to tell the difference. Due to this, it isn’t the best at reducing static, and it doesn’t reduce the amount of damage done to the hair while teasing. If you’ve got long, fairly thick, straight to wavy hair, and need something that will help make it appear smoother, then this is the brush for you. 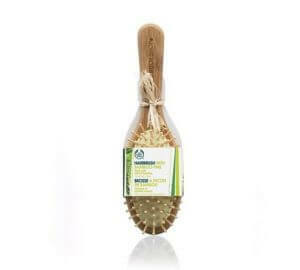 This sturdy cushioned paddle brush is perfect for untangling dry hair, and also for blow-drying it straight. It is also one of the more affordable options on the market, so you don’t need to break the bank to get your hands on it. The rubberised handle is a bit of a let down though, as it keeps slipping, which makes it hard to hold on to the brush properly. Additionally, the bristles are not the strongest, so if you’ve got really thick or curly hair, they might end up coming out quite easily. It is also not recommended for those who want volume, as although it tames frizz, it does take away the volume. This detangling brush is internationally acknowledged for its efficiency; it can untangle even the toughest of knots without causing the amount of damage that usual brushes do. This particular one is the travel-size version, so it’s really easy to carry in your bag, works really well for fine, wavy to straight hair, and since it comes with a cover, the bristles will stay protected as well. Although this brush is absolutely amazing at dealing with knots, it doesn’t do much else. It is also quite small, so not only is it hard to hold, but it’s also not the best for those with thick or curly hair. Furthermore, it is a pretty expensive product, and yet, it only lasts for about 9 to 12 months, after which the bristles seem bent and worn out. If you’re looking for the perfect hairbrush for long, wavy to curly hair, then this is the product for you. 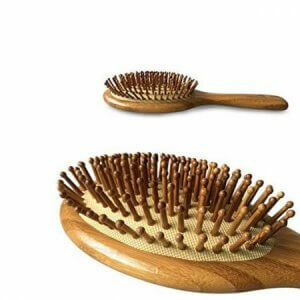 It has both boar bristles and synthetic nylon bristles, which are clearly distinguishable, and they work together gently untangle knots, and distribute natural oils from the scalp to the ends. Therefore, it makes the hair appear healthier and more lustrous. It is the most expensive brush on the list though, and yet, it isn’t as easy to use; the handle is quite small, so it makes it difficult to hold the brush. Additionally, while it works really well for those with fine hair, it doesn’t do a great job for those with thick, frizzy hair, and isn’t recommended for those with sensitive scalps either, as the bristles can be too hard for them. Those looking for a hairbrush that can help them untangle their hair while it’s still wet would love this brush. As the name aptly suggests, it untangles wet hair without pulling and damaging it; its flexible bristles gently work to reduce hair breakage. It works well for those with fine hair, as well as those with thick curly hair, and it doesn’t hurt those with sensitive scalps. Although it is a really well-built and easy to use brush, it is fairly expensive, and despite that, the bristles are not strong enough for really thick hair, and you will have to change it almost every year. Furthermore, since the bristles are synthetic ones, they won’t help in distributing natural oils, so if that’s your main concern, then this wouldn’t be the best choice for you. It might seem odd that this is the only round brush in the category, but this is literally the only round brush you need, as it works for both fine, as well as thick hair. It is lightweight, so it’s easy to work with, it has vents, so it can be used to reduce drying time, and it has a ceramic barrel, so you don’t need to use the dryer for too long to create voluminous, frizz-free curls. The cost might throw you off a bit though, as it is really expensive, and while it would be an incredible investment for those with naturally curly hair, or those who style their hair regularly, it might not seem worthwhile to others. Additionally, you have to be really careful while using this brush, because the barrel can get too hot, and if it touches your skin, it could burn you. If you’re looking for a high-quality paddle brush that works well for thick, wavy to straight hair, then this is the one for you. It is extremely durable as well, as it lasts for almost 2 years, and it has flexible yet sturdy bristles that untangle the hair without as much tugging and pulling, therefore ensuring that there is minimal hair breakage. 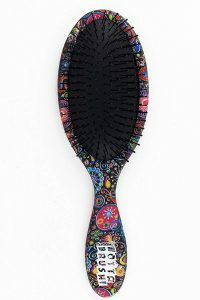 It has really soft ball-end bristles that give a massage-like feel, and unlike usual paddle brushes, it doesn’t leave the hair looking flat. Since it is not too big, people with short hair, as well as those with long hair, can use this brush. Furthermore, it is really affordably priced, helps make the hair appear smoother, is really easy to clean, and it reduces static as well. The only brush on this list with bamboo bristles, this is the one you need if you’re on a journey to make your hair healthier. The bamboo bristles give a gentle, massage-like feeling, and helps stimulate blood circulation, which is really great growing longer healthier locks. Since the base, as well as the bristles, are both made of bamboo, it also makes sure that the hair is static-free. It works for both fine, thin hair, as well as fairly thick hair, and it is also a cruelty-free and eco-friendly product, therefore, it doesn’t seem too badly priced. 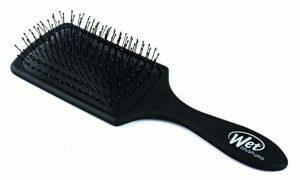 The brush is great for untangling knots, making sure the hair doesn’t get frizzy and keeping the volume intact as well. Therefore, as long as you have wavy to straight hair, and you want to make it healthier, this is the way to go. The best hairbrush on the market, this works for both curly hair, as well as straight hair, as it has flexible bristles that untangle knots without any tugging and pulling. 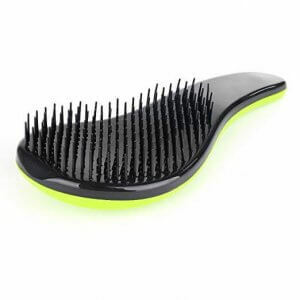 Although the bristles are flexible, they’re also really sturdy, and the ball-like ends give a soothing massage-like feeling, which helps stimulate the scalp and keep the hair healthy. It can be used on both wet hair and dry hair, so even when you’re running late and need to style your hair, immediately after a shower, this brush won’t disappoint. It is really easy to clean, and even after 4 to 5 months of use, it still looks brand new. Additionally, it is one of the most affordable products, so you don’t need to spend a lot on it either. Hairbrushes are one of the most integral tools for keeping our hair healthy, therefore, having the right kind of hairbrush for your hair type and need is extremely important. It can not only change how your hair looks, but it will also help you style your hair much more easily. We hope this article helped you understand what each type of brush is useful for, and understand which would be the best one for you. We also hope that our list of top 10 best hairbrushes made it easier for you to choose, as well as get your hands on one.